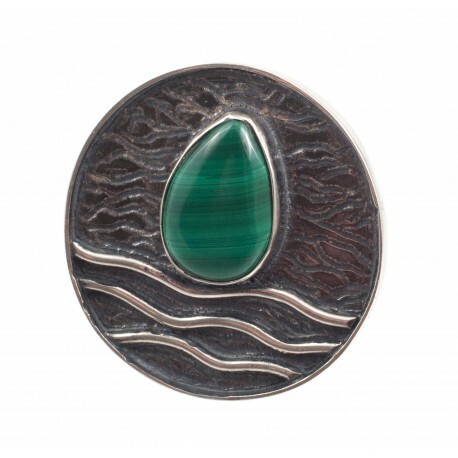 Sillver - Malachite There are 7 products. 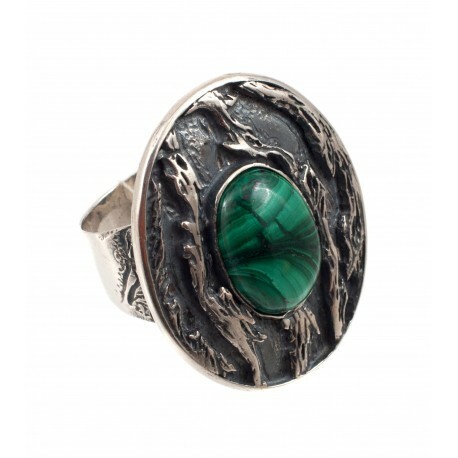 Malachite promotes people to love themselves and others, creativity , helps to realize desires , activating the prophetic dreams, insight and ability to make decisions. The stone helps business protect against unreliable partner . It provides inner peace and security. 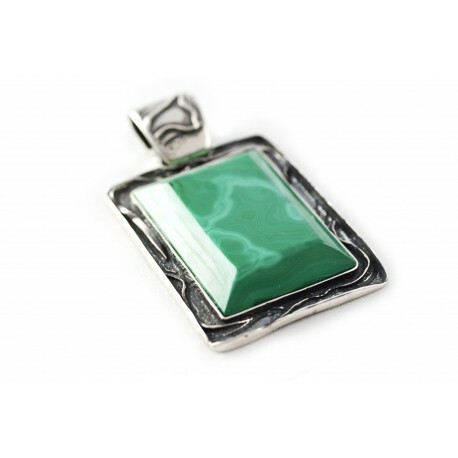 It is believed that malachite is the abundance of stone , attract prosperity and wealth. Most often found in Russia, Germany , France , Chile , USA and Australia. A slender, graceful silver leaf is cosy and one's very own like fluffy silky beddings. A dew drop is quietly and safely asleep on its palms. For a moment You get surprised: why it is green? 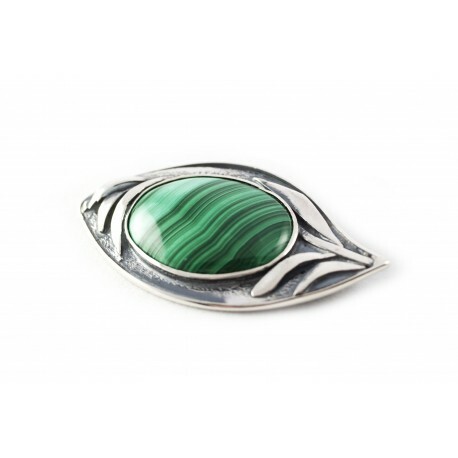 A unique silver brooch with malachite.